Oyster mushrooms, Pleurotus ostreatus, are a common edible mushroom and some of the most versatile. They are very easy to cultivate and are found all over the world. While there are many strains, we're currently working with just a few. We grow ours on "totems". This simply means we grow them on short, standing longs. 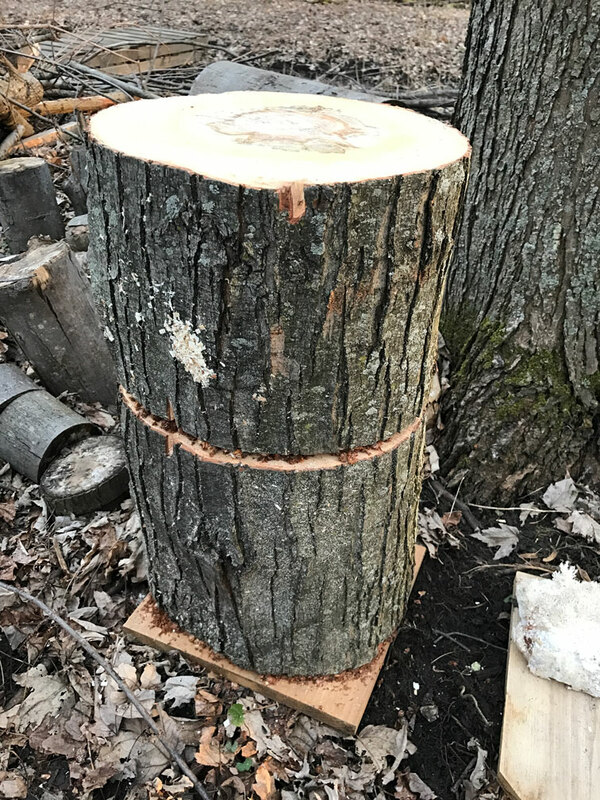 Growing oyster mushrooms on totems is an easy way to turn fresh cut logs into a valuable food supply. If you'd like to start your own, instructions can be found with the Cornell Small Farms Program, or email us as we love helping folks get started with mushrooms. Besides being easy to grow and quite tasty, oyster mushrooms offer help and guidance in environmental clean-up. The enzymes they produce to break down and eat wood can also break down the carbon-hydrogen bonds in oil and pesticides. We can work with oyster mushrooms to clean up oil and filter toxins out of waterways. And we're really barely getting into the meat of what oysters can do in these few sentences. Oysters, and mushrooms in general, are truly powerful allies. Truly I'm not doing these amazing mushrooms justice. There is so much to say about them. For now, instead of rewriting what has been so well explained by others, please check out these links, and dive in with me. Give this one a read. And here's a tidbit on using them to clean up waterways in Oregon. And grow them on "totems". Go here for instructions. Here's a chunk of oyster I'm attempting to clone onto agar. But this little guy would rather grow micro mushrooms off of its flesh rather than spread across my agar. 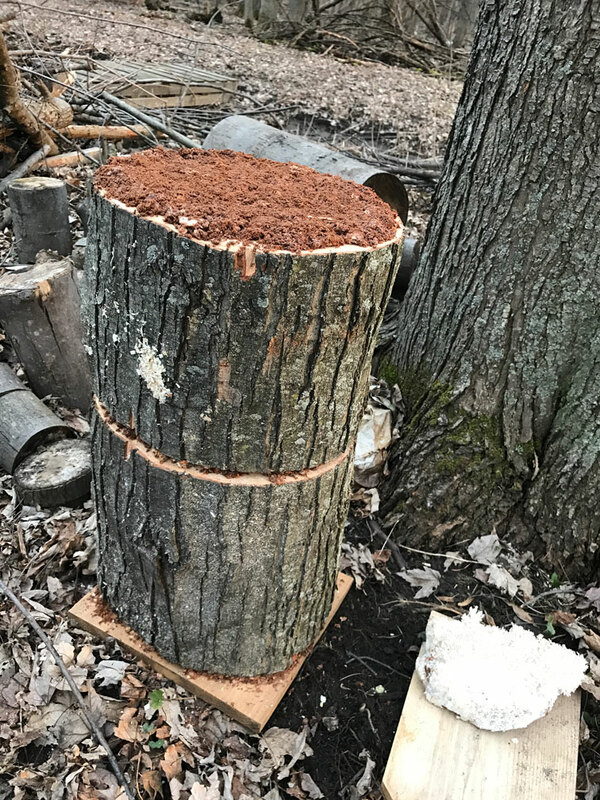 This series of photos demonstrates a simple method to inoculate a stack of logs with oyster mushroom. After several months of colonizing the log the mushroom will begin to grow out of the sides, likely starting first at the cuts. For this reason, it may serve better to mulch around the bottom to try to push the mushrooms to fruit higher. Second piece places. Still stable? Wood isn't needed. Cardboard works just fine. Or ground. First chunk, set well balanced, in place. The final cap of a couple inches. Add some more spawn on top. Maybe a quarter of an inch? Wrapped to keep humidity in while it colonizes. Don't wrap this tight. A single cord at the bottom will do.